As part of my comprehensive plan to create a bionic immune system, I found it necessary to eliminate as many harmful environmental factors as possible. My early research indicated that household cleaners contain many dangerous chemicals that can cause serious long-term damage to our health. After reading about all the risks, my initial reaction was to vow to never clean again but the reality of a husband and two kids quickly set in. I then raced out and replaced many of my household cleaners with safer alternatives such as Seventh Generation. This was a good step, but since then I have discovered that there is an even safer and much cheaper alternative: vinegar and water! Believe it or not, vinegar can be used to clean the entire house, and there is absolutely zero danger to children or pets. Sure it can sting a little if you get it in your eyes, but it is completely safe. What are the Dangers of typical household cleaners? According to a study presented at Toronto Indoor Air Conference, women who stay at home have a 54% higher death rate from cancer than women who work outside the home due to exposure to household cleaners. Toxic chemicals in household cleaners are three times more likely to cause cancer than air pollution! This is no surprise since the average household cleaner is loaded with substances that are absorbed within seconds through the skin, inhaled through the lungs, or ingested when food touches the chemical residue. Most people are aware that mixing ammonia with bleach can result in deadly fumes, but they are unaware of the many toxic ingredients in the cleaners that they routinely use. Chemicals such as formaldehyde, phenol, toluene, and xylene, found in many common household cleaners, are known to cause cancer and damage to the immune system. Petroleum distillates, found in furniture polish, can cause skin and lung cancer. Most toilet bowl cleaners contain hydrochloric acid which causes damage to the kidneys and liver. Chlorine is in so many household cleaners despite the fact that exposure to chlorine has been linked to several types of cancers. Take a minute to review the various ingredients in your household cleaners. Are these carcinogens really worth the risk when there is an easy alternative? This part is easy! All you need is a spray bottle, white vinegar, and water. I got a spray bottle for $3.78 at Home Depot and an entire gallon of white vinegar for $2.99. Find a cloth or sponge and you have everything you need. 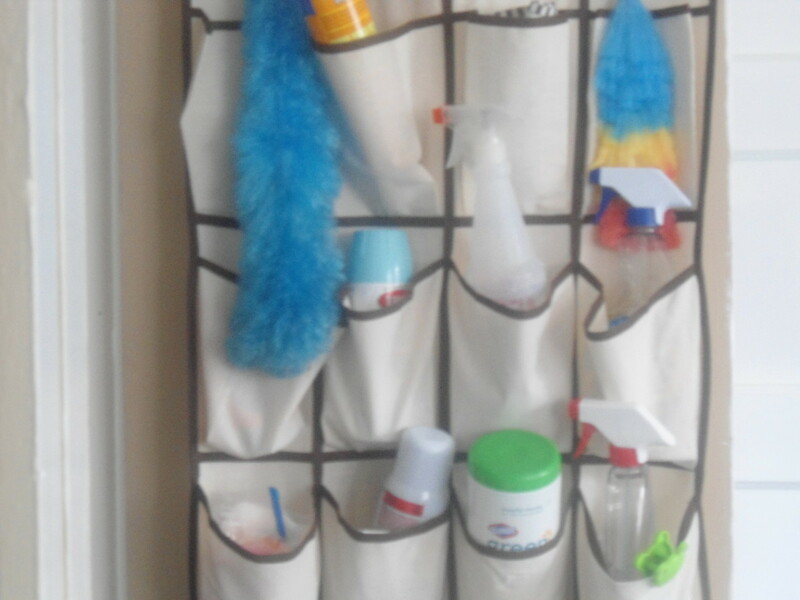 For an initial investment of less than $10.00 you can clean your entire house. Don't worry about the vinegar odor because it dissipates quickly. If you want a fresher smell, a few drops of essential oils can be added. Read through these tips, turn on some upbeat music, and you are ready to go! 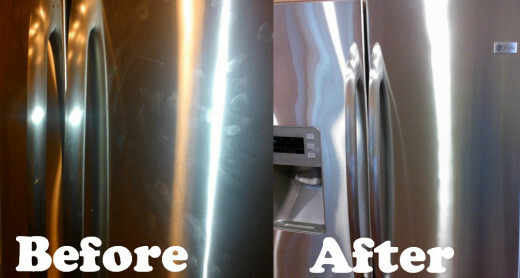 Stainless Steel: Spray undiluted white vinegar on every stainless steel surface and let it sit for ten minutes. Then use a soft cleaning cloth to wipe it off. It's that easy! Floors: Mix a half a cup of white vinegar with a gallon of warm water. Sweep and dry-mop the floor first in order to remove the loose dust and dirt. Soak the mop in the solution and ring it out a few times and you are ready to rock and roll. Toilet Bowl: Use a solution of equal parts water and white vinegar to clean the entire toilet. Dump in two cups of undiluted vinegar and flush it the next morning. Exciting I know! Surfaces: Simply spray on a 50% solution of vinegar and water, and wipe off any surface with a sponge or dry cloth. Glass: Use 2 cups of water and 1/4 cup of white vinegar. If it looks a little streaky it's from the chemical cleaner that was used previously not from the vinegar solution. The first time only you may have to remove the residue by adding 1/2 teaspoon of liquid soap to the mixture. Wall: Spray a solution of equal parts water and vinegar on any spots on the wall. Then simply wipe it clean with a sponge or cloth. You can make a great air freshener by adding a few drops of essential oils to a mixture of equal parts water and vinegar and spraying it around the room. Soaking clothing in vinegar removes stains. Remove age spots with equal parts vinegar and onion juice. A spray bottle with 1/4 cup vinegar and 3/4 cups of water can be used to untangle hair. I have a friend that gets really excited about the latest cleaning products. She cleans constantly and seems to really enjoy the experience. I am the complete opposite so I was surprised when I felt a glimmer of excitement after grabbing my vinegar and water spray bottle to test this theory. I began with the bathrooms because with two boys and a husband they seem to need daily cleaning. I scrubbed the sinks and toilets and everything was spotless, even though the vinegar smell was pretty intense (though I prefer the vinegar smell to what was there before!). Note to self: add some essential oils next time. Next I dashed to the kitchen, happy about my results so far. After trying straight vinegar on the refrigerator, my initial excitement quickly faded to disappointment as I stood looking at some very streaky stainless steel. It definitely wasn't as easy as the commercial cleaners! Then I remembered a tip from my research: olive oil. I wiped the stainless steel with a very light layer of olive oil, and then thoroughly dried it off, going with the 'grain' of the metal. Finally, I again tried spraying on the vinegar, waited a few minutes, and wiped it off. It looked great! In fact, I can honestly say it looked cleaner than it ever has with my chemical cleaners. Success! Finally I mopped the hard wood floors. I first swept all the floors to remove any dust or loose dirt. Then I added a cup of vinegar to a gallon of hot water and let the mop soak and rang it out a few times. As predicted, my floors were shiny and clean. With great music and a new experiment cleaning can be fun! Do try this at home. Avoid using vinegar on porous surfaces such as marble or granite because it can damage the finish and stain the surface. Instead soak a cloth in distilled water and wipe down the surface. Follow with a dry cloth to polish the surface. 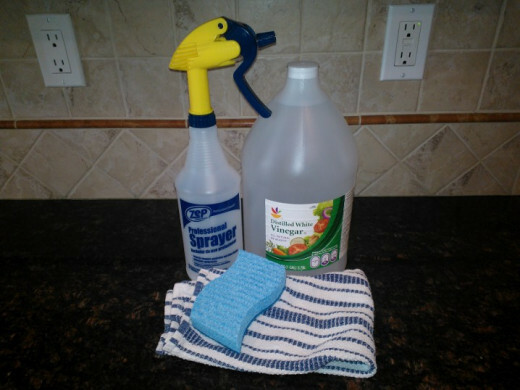 Vinegar and water is by far the safest and most economical way to clean. The next time you clean your house give it a try. Cheers to healthy living!! I am so sorry about your sister. Often an illness is caused by a combination of factors and it's impossible to determine which factor had the greatest impact.All we can do is minimize the risk by trying to control the food we eat and the cleaners and personal care products that we use. You are doing that by using cleaners that are safe to eat although you wouldn't enjoy the taste! Thank you so much for stopping by! My sister was recently diagnosed with Dementia and the brain scan showed a small portion of her brain as damaged, actually missing. She has used bleach each time she washes dishes by hand for 30 years. It makes me wonder if the bleach is the cause of her brain injury. I've used white vinegar and water as my source of cleaning and love it. I also like using lemon for certain cleaning jobs as well as baking soda. Love this hub with all the good tips. Happy cleaning everyone! You made my day Kenneth with your kind words! I will definitely stay in touch and check out more of your hubs! You are most-welcome. The words were the truth. You are a terrific writer with a lot of talent that you are using for good. I respect that. I appreciate you so much for checking out my hubs, which some, not boasting, will give you a good laugh. Wonderful stuff. Voted up and away. I am very impressed with your decision to stop being an attorney and staying with your children. You are a rare lady. I give you tons of credit. Then quickly check one or two of my hubs if you need a laugh, then become one of my followers. So great that you are already cleaning with vinegar and water Thelma!! Saving money is another huge benefit and I'm surprised how well it cleans. I keep a spray bottle with vinegar and water handy at all times.Thanks so much for taking the time to check out this hub! I bet your sink is nice and clean creativelycc! Household cleaners are one aspect of the environment that we can control so it's an opportunity to minimize exposure to chemicals. I changed over to vinegar and water gradually.I still have some of the safer products like seventh generation in case I run out or want something different. Thanks so much for the vote and share..I do appreciate it! Excellent advice. I just downed some white vinegar in my sink yesterday. It makes the drain smell fresh and sweet. Scary to learn about the dangers of household cleaners, I think I'll slowly ditch mine and stick with white vinegar for cleaning. Voted up and shared. Great hub! My big container of vinegar has lasted a long time. I learned the stainless steel tip from trial and error but glad I finally figured that one out. My research said it should not be used on porous surfaces but I have been using it for over a year on our granite without issues...at least so far:) Sounds like you have a good alternative for granite and it's awesome that you clean with natural products. It helps to at least minimize the risk whenever possible.Thanks for the visit. It is appreciated! I have recently started switching to natural products, so seeing this article is perfect timing for me! I bought a big container of vinegar, and it should last me for a while. It was nice to hear a run-down of how well it worked on different surfaces. I liked your tip about the stainless steel, too! That is handy to know! And thanks for the warning about porous surfaces, because I would hate to ruin the granite countertops in my apartment. Although I may not have tried vinegar on it, because I have a pretty good "Method" brand spray specifically for granite. It's less harsh than most products. donnah75...So happy you found this information useful. Cleaning with vinegar and water really does work and I'm glad I tried it. Thanks so much for your comment and I hope to see you again! Peggy W...They do have some good earth friendly products on the market now and those are a significant improvement over most products. It's great that you discovered those. I do keep some on hand in case my vinegar and water isn't effective on something. I do add a few drops of essential oils to my vinegar and water solution because it's nice to enjoy the smell when I am cleaning. A damp cloth is effective on furniture and doesn't leave a chemical residue at all. It truly was amazing to discover I didn't need the million different cleaners I used for so many years. Thank you so much for the vote and share! Useful hub. Knowing the dilution measurements is helpful. Thanks! I am using an earth friendly product with orange in it, but when I run out of it, I intend to switch to vinegar. I use some of it now like when washing windows. As you say, the smell does dissipate with time. Might try adding a few drops of essential oil. Gave up using furniture polish years ago. We just use a damp cloth to dust and it works fine. Excellent advice in this hub. Up, useful, interesting votes and plan to share this with others. Thanks! @pstraubie...So nice to know that there is absolutely no chemical residue left behind to be absorbed over and over through your skin. The combination of Dawn and vinegar works well on areas that vinegar alone doesn't work but you may want to replace the Dawn with a safer brand such as Seventh Generation or another one that you research. Thanks for adding the useful information about fire ants. I don't think we have them in Connecticut but others that read this may have them in their area. It's amazing how many uses there are for vinegar. Thanks so much for your comment and I'm happy that you also clean safely! Do it, and, love it. It leaves me with a general feeling that my home is clean with no noxious chemicals left behind. In the bathroom shower I do have a bottle of dawn detergent and vinegar that I clean the shower with often. I do not scent mine...the odor dissipates quickly so for me that is no problem. Another great use if you have fire ants in your area...put vinegar on immediately and the swelling and irritation and the itching disappear quickly. I usually clean the inside of the refrigerator with water and vinegar,a great job.II'm very sensitive to chemicals and often I feel bad when use some strong detergent.I should decide to use healthy products for cleaning home.It the right decision to be taken. @KerryAnita..I also will never go back to chemical cleaners!! I really appreciate your tip to add spices and will try it because I am almost out of my lemon essential oil. Thanks so much for your visit and comment! Hope to see you again! Vinegar also helps to clean acne align with peroxide. Soak your fruits and veggies from the store in vinegar to rid if of the pesticides. Rinse first, then soak, then rinse again. L.L. Woodard...Six or seven drops of essential oil make a big difference. I always equated the good smells with clean but have adjusted especially now that I know the added chemicals that cause the good smells are so unsafe. You can also make an air freshener with the essential oils and vinegar and water solution and safely spray it around the house for a clean safe smell. Thanks so much for taking the time to read this and for the vote and share! I know I'll have to add a few drops of an essential oil to my vinegar and water cleaning solution because I am "hooked" on the fact that my house smell good when I'm done cleaning. @grumpiornot...Thanks for adding yet another great use for vinegar. I will have to try it on my miniature schnauzer. Straight vinegar is fine and even beneficial on our skin so the diluted form on a dog should be fine. Sunday is our calm day too for cleaning and organizing. Thanks so much for your visit and helpful comment! @aloscin..I'm glad this hub gave you a new idea to consider. You can get a great deal on vinegar at Costco and it lasts so long. Thank you so much for the vote and comment! I recently received great info to a question posed here that seems to indicate that your household dogs can be a bit less smelly if they are bathed or wiped with a vinegar and water dilution (max half/half). Tomorrow is Sunday and in our home, Sunday is that day for doing stuff. So tomorrow, our dogs will meet vinegar in a highly diluted form to see how their skins react. Vinegar seems to have endless applications! I never would have thought of this one on my own, and you can buy vinegar the the gallon at Costco. I like that this is far cheaper than using chemical cleaners. Voting this Up and Useful. Thank you Gail! It is horrible that so many people accept exposure to chemicals as a part of life and there are not enough agencies regulating this and offering safe alternatives. You give some great tips in your hub based upon your own experience. I am going to add a link to your hub as well and maybe we will get the word out. Thanks so much for your visit! Great hub! 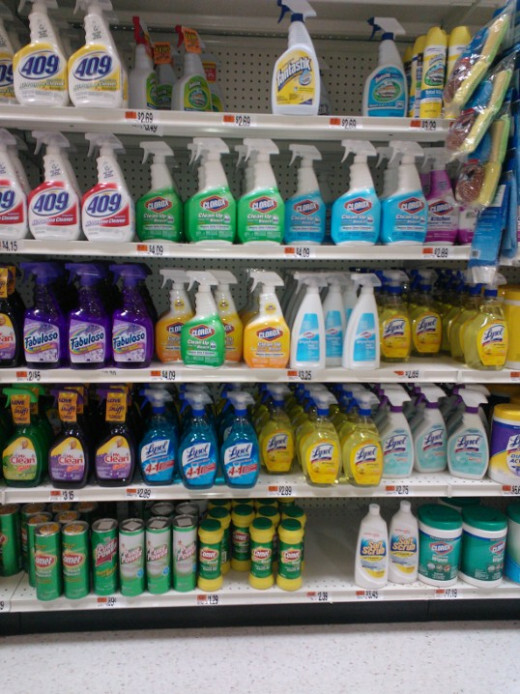 I was just disgusted when I discovered how many toxic chemicals there are in household cleaning products. That is when I began using vinegar. I already use it, but I am always discovering new uses and you give some great tips. I will link my hub to this one as further reading. Voted up and useful. @Pamela99...It's great that you have been using vinegar to clean. It is nice to clean without wondering exactly how bad it really is or the long term effects. Experiment a little and try it on something new. I really appreciate your vote and comment! This is great information. I have been using vinegar more often in recent years but I have not used it on everything as you suggested. 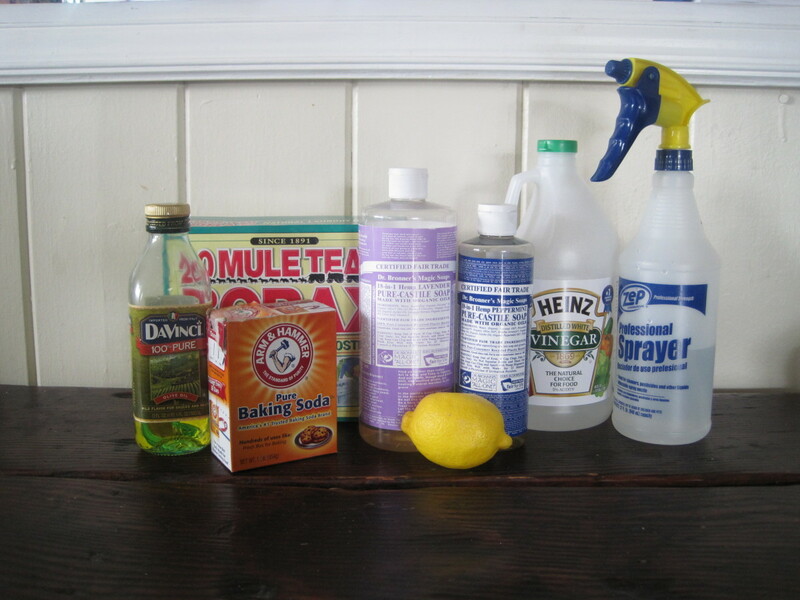 I love the idea of getting all chemicals out of the house, so I am going to give it a try. Thanks. Voted up and useful. wheelinallover...Thank you so much for coming back to give me that update. So happy you won on the cleaning issue! Sometimes dish washing soap has to be uses the first time to remove chemical residue from previous cleaners. Really soak a cloth or sponge with vinegar and you should have no problem cleaning the grease. I really appreciate you sharing this and using your connections!! I'm on the ways to check out your hubs. This blog has been shared with all but one of my social networks and as a business we have quite a few. It really isn't something which fits with my brand design, yet does have value in that it can keep people healthy and make cleaning less expensive. I actually came back to tell you the women have decided to try vinegar with one small proviso. They are using Dawn dish washing soap now, because the vinegar won't cut the grease. "You did mention something in the blog about this problem" They will follow up with vinegar. Nice to meet you Wheelinallover! Tell those women it's not a crazy theory at all. It works and there is absolutely no downside. There are many long term risks that result from using the cleaners loaded with dangerous chemicals and you are right that this is good for our environment as an added benefit. I just keep two spray bottles available..one with vinegar and the other with vinegar and water.Thanks so much for your comment. I am trying to get the message out to as many people as possible so really appreciate you sharing this. Hope to see you again! When I told the women who live here they laughed in my face. I have used vinegar and water to clean my glasses for years. Looks like it is time to use it a few more places. Since I work at home I would rather not be exposed to all the chemicals. The women seem to be gone more than they are home. In their case they should be using it to clean the vehicles. Vinegar is something which isn't harsh on the environment so I will share this article around a bit to see if at least a few people get it. @nylarej...Definitely give it a try to let me know how it works! Not only is it effective but great to save the cost of all those different expensive cleaners and to save the environment. Thanks so much for the visit and comment! Hope to see you again! What a beautiful and beneficial hub! I should try this one. It is obviously eco-friendly and inexpensive. @Angelo52...You just need a few drops of the oil and they come in so many scents and last a while. I love good smells of cleaners so had to adjust to that. It surprises me that now even the vinegar smell doesn't bother me like it used to and the smell does dissipate quickly. Thank you so much for the visit and the comment! @Barbara Kay...Thank for adding the tip about baking soda. That is also another great cleaner with many uses. The detrimental impact of cleaners on women that work in the home surprised me so I'm glad I switched. Even if you switch one cleaner at a time over to vinegar and water you are making progress. Thank you so much for the comment and the visit! @mary615...We definitely agree on this topic and I do hope more people realize that there is this a much safer and effective alternative out there which also happens to be much more economical. So scary that people can pass out or even worse from the combination of bleach and ammonia. Cleaners are also the number one cause of accidental poisoning in the home especially with children. Cleaning with vinegar completely eliminates this risk. Thank you so much for the vote and the link to your wonderful hub. I really appreciate the share! @mecheshier...I have discovered vinegar works even better than my old commercial cleaners in some cases. The stainless steel looks better than ever although before I know it there are more fingerprints with two kids in the house. Thank you so much for your supportive comment and the vote! @GmaGoldie...So great to hear you have already been cleaning with vinegar for a while. Now that I see how safe and effective it is I'll never go back to commercial cleaners. I use it on both marble and granite but know that it can damage the finish so had to warn my readers so they can make an informed choice. Thank you so much for your kind words and for the visit. Hope to see you again! Good information on cleaning with vinegar. I've put it off because of the smell but if a adding a drop or two of aroma oil will make it better then it is time to give it a try. Another tip is to use baking soda for bathroom sinks. If that doesn't work, use toothpaste. This also works on tubs. The vinegar works best in the stool though. I didn't realize just how much of an effect other cleaners had on housewives getting cancer. I still use some of them. I guess I'll have to quit. Thanks for a good hub. Wow! Great Hub on the many uses of vinegar. You and I really agree on this subject. I hope we can get the word out that people don't need all those cleaning products that just pollute the air (and us). I had a friend who passed out from using and bleach and ammonia together in her bathroom. I voted this Hub UP etc. and will share. I'd like to link this Hub to the one I wrote about vinegar. Fabulous Hub. Vinegar is one of the best products to use for cleaning. It leaves a shine and is a great bacteria fighter plus non-toxic. Thank you for sharing such a wonderful Hub. Voted up for awesome and useful. I have used vinegar for years but learned so much here. The marble surprised me. Excellent. @fituniversity...So awesome that you have been cleaning with vinegar. It's so inexpensive and safe and effective so I was excited to get the information out there.Baking soda is another great cleaner too. Thanks so much for reading and commenting! This article is so great! I started cleaning with water and vinegar about a year ago and have been so impressed. I clean my mirrors with a wet newspaper and everything else with baking soda, vinegar, and hot water. Hi Laceylinks! How exciting to be getting a degree in health and wellness. I find the topic so fascinating. I'm so glad you appreciated the information in this article and glad others are learning about the impact of cleaning products on our environment and our health. I now grab my spray bottle with vinegar without a thought and clean. That isn't something I would have visualized myself doing even a year ago but glad I made this change.Thanks so much for the vote and I appreciate you sharing this link with your fellow classmates!! I am a Health Sciences student at a college that offers online coursework, studying for a degree in Health and Wellness. This term one of my classes is Environmental Health. We are discussing chemicals in the environment and the subject of cleaning products has come up, among others. I had read this Hub yesterday and it came to mind this morning. I think it is definitely worth sharing with my fellow classmates. Yesterday I voted this Hub up and interesting. Today it is also useful! Great Hub! MosLadder...I also always loved the good smells and associated it with being clean until I learned the danger. Health food stores have a big variety of essential oils that can add a good but safe smell to the house. Thank you for taking the time to read and comment. Great article, and timely. I've been meaning to start using vinegar and lemon. My wife loves the Clorox smell but knowing it's a caustic chemical makes me uneasy. Thanks for the good work! @Victoria Lynn...My cabinet used to be stuffed also because I had a different cleaner for everything. It is supposed to be useful to remove carpet stains but I didn't include that one because I haven't tried it myself. You can mix two cups of water with one cup of vinegar and put it in a spray bottle. Spray it and let it sit and then blot with a paper towel. Repeat the process until the stain comes out. I would first test it somewhere on the carpet to make sure it won't damage it. Let me know if it works. Thank you so much for the visit and comment! This is great! It would also help me not be such a packrat with cleaners. My cabinet is stuffed. I will start using more vinegar for cleaning! I wonder if it works on carpet spots...? Great hub! Hi midget38! The benefits of white vinegar are endless. It is even good for the skin and can be used to rinse hair although I have not attempted that one yet but might have to out of curiosity. I always appreciate your visit! Thanks so much for the vote and share!! @Dale Hyde...This was a great discovery and I will never go back to the cleaners loaded with chemicals. Thanks so much for your visit and comment. I really appreciate you sharing this on facebook and twitter. That made my day! Hope to see you again! @alisharanee...You can use the white vinegar to clean the dishes before putting them in the dishwasher or add some to the rinse aid part of the dishwasher. 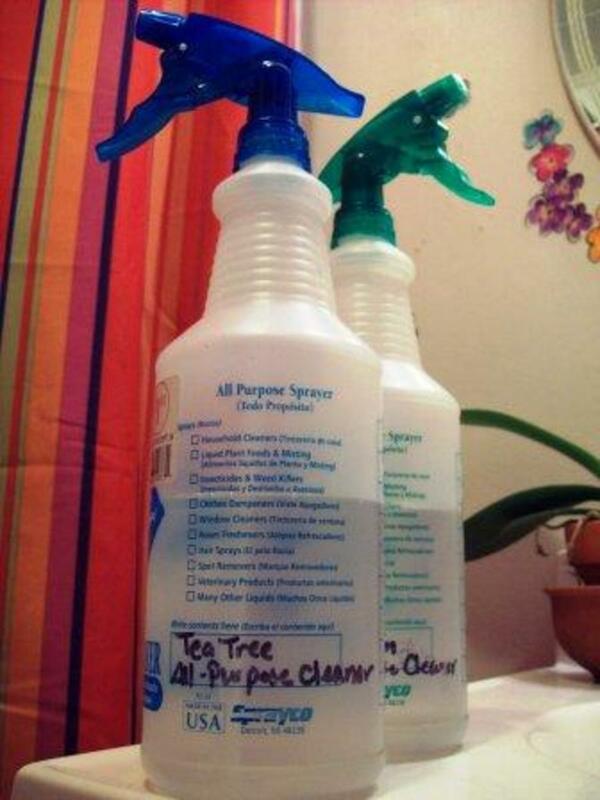 I keep the spray bottles available to make cleaning very convenient. Thanks so much for the visit and the comment! Heard of vinegar being able to cut through grease, but it's a first to hear that it has so many benefits!! Thanks for the share, Healthylife!! Voted up, interesting, awesome, useful and sharing. This is a great tutorial. I always have a gallon of white vinegar in my cupboard, so I plan to start reaching for that rather than reaching for the harmful chemical based products. @Jennzie...It is completely safe and gives me peace of mind that I'm not exposing my children or dog to harmful chemicals which leave a residue and are inhaled through the lungs and absorbed through the skin. Thank you so much for your comment and vote! @rajan jolly...In some cases I found it worked better than the cleaners loaded with chemicals. If you keep a spray bottle with vinegar and water available it couldn't be easier. Many people have had health issues improve or vanish completely after changing this aspect of their environment. I always appreciate your visit and thank you so much for sharing this! I applaud your efforts to use a safer cleaner Hyphenbird! The first time takes a little trial and error to remove the chemical residue from previous cleaners but is so worth it. Thank you so much for your visit and comment. It is always very much appreciated! Great hub! This definitely seems like a much safer way to clean compared to using cleaners with a whole bunch of chemicals- particularly if you have young children or pets. Voted up. Very useful tips and really interesting to note that vinegar cleans most things. Bookmarking this, healthylife. We tend to use a lot of chemical cleaners without realizing the health dangers they pose. I'm sharing this hub so that this message reaches more people to use harmless stuff. Voting it up and useful. I knew vinegar was a great household cleaner. I just did not know how many ways it can be used. I purchased a gallon of white vinegar and shall be using it as my cleaners run out. I had already decided not to buy more and now I am adamant. thanks for the inspiration to go clean and green. @CrisSp...I so much appreciate your personal account as it completely validates the cleaning with vinegar and water concept. I hope your allergy either diminished considerably or completely vanished. Laundry detergents also cause many allergies. Great tip for using it on your skin. For some crazy reason my husband likes the vinegar smell so I should try it. Thanks for taking the time to read and add your personal comment. @greeneryday...Household cleaners are more harmful than most people realize. Fortunately there are safer alternatives out there. Thanks so much for taking the time to comment and vote. Hope to see you again! I have never realized that household cleaners are more harmful than air pollution. This is really important information for anyone to be more aware by choosing a more safer cleaners such as spray of vinegar in this case. Thank you for writing this up, and voted up for awesome! RTalloni...It was a great discovery and does help a lot in this economy.I even add vinegar in the rinse agent section of the dishwasher to make everything sparkle a little more. Thanks for taking the time to read and comment! Cheers to healthy living, indeed! 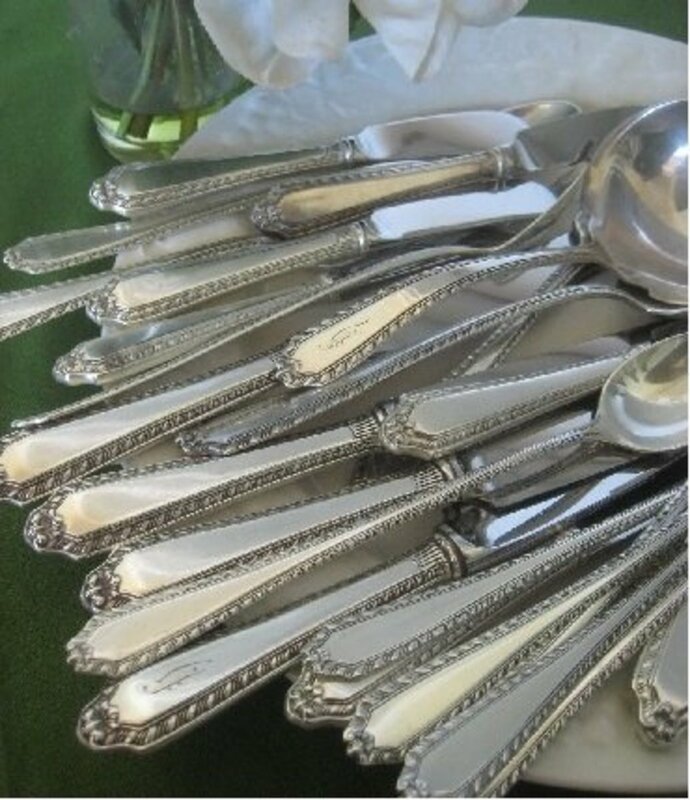 This is a super look at using vinegar and water to clean with. 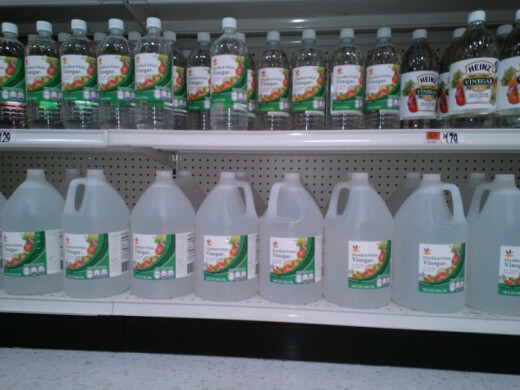 Besides the health issues, choosing vinegar is a huge savings--healthy for the budget. Very good question butterflystar! Vinegar kills 99.9% of the bacteria and is 80%-90% effective against mold. Typical household cleaners can create drug resistant bacteria which can lead to even more bacteria so cleaning with vinegar is a great option. Thanks so much for the visit and great comment. Excellent article :) I have a question how much bacteria does it clean? I want to switch over and so glad for the information. ib radmasters...Thank you so much for taking the time to read and comment! Hope to see you again! great hub on the cleaning use of white vinegar. @tammyswallow...Asthma was a motivation for many people to switch to vinegar and water as a cleaner. It may take a little trial and error like first using a little olive oil on stainless steel but is worth it and becomes easy. Let me know how it goes. Thanks so much for the visit and comment! Thumbs up to this! I've been a loyal vinegar mixed with water and some lemon drops after being hit with a very bad allergy that somehow weakens my immunity system. It works, works so well. All natural and a way lot cheaper than those commercially produced cleaners. As you mentioned here, I'd sometime play with my mixture by adding some scented oil. We used to use chlorox to brighten our white clothes and remove stain. Now, no more. There's a gallon of vinegar instead in our laundry room. And although my hubby dislike the scent of this super liquid. I still used it (Apple Cider Vinegar) to tone my face at night after my regular face washing. The scent easily evaporates anyway. I'd mix ACV with water and drops of lemon. Great toner and helps prevent age spot. Very useful and informative hub. Voting up and away. Great information. I have an asthmatic in my household so I have to be very careful about cleaning products. Sprays and carpet powders are a big no no. I will have to give this a try. Great information! Hi Healthyannie! I appreciate the validation of my safe cleaning practices. My friend looked at me like I was crazy when I said I was cleaning with vinegar and water. The olive oil really does clean stainless steel and the vinegar gives it such a nice shine. Thanks for the tip on adding it to plants and the visit! @carol7777...I keep two spray bottles(one with straight vinegar and one with vinegar and water) so I can just grab them when needed. It has to be as easy as possible to keep me motivated since cleaning isn't my favorite activity. Thank you so much for taking the time to read and comment. I also appreciate the vote and share!! I clean my house with vinegar as well. Much better no parabens. I put some Patchouli essential oil in my cleaning products, it seems to work really well. Lemon essential oil is nice as well. 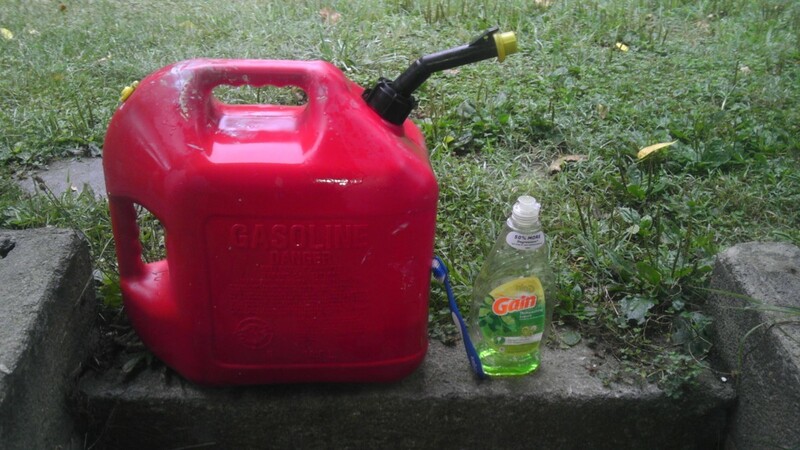 Mixing Citronella essential oil, vinegar and water is great for garden plants. And I use olive oil for stainless surfaces just like you. I use vinegar for cleaning, but get lazy sometime and use a cleaner. You made it seem a lot easier. A spray bottle is the best way I think. Thanks for sharing these ideas. Voted up and shared.